Harvey Anderson is a twenty-six-year-old street performer from New Jersey. He enjoys his peaceful life, but everything turns upside down when he is abducted and beaten by a group of nondescript thugs. Working for a sinister man known as "the spider," these goons have spent nine years searching for Harvey's girlfriend, Sally Starling. Now they think they know where she lives. And whom she loves. A superb thriller. Intriguing from the very first line. 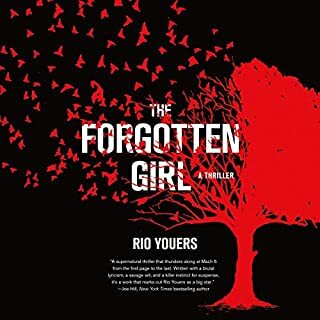 Rio Youers writes beautiful prose, but not at the expense of break-neck pacing. A story that's exciting and emotionally engaging right up to the perfect ending. The war has begun...As the humans make their move against the werewolf threat in their midst, and civil war threatens to break the pack apart, John and Marie struggle to free the only person who can unite the werewolf factions against their common enemy: Marie's brother, Michael. However, their efforts may be for nothing. As tensions mount, the Moonborn prepare to combat the human aggression with an assault of their own; an attack that could spell doom for both man and werewolf alike. The Best Werewolf Series. Period. Part three of the best werewolf trilogy (and one of the best trilogies overall). From the beginning the High Moor audio production has been phenomenal. Chris Barnes, an incredibly talented narrator, has brought this story to its full potential, and by now he's become part of the High Moor world. 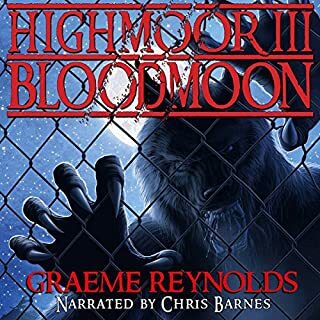 The author, Graeme Reynolds, has of course already written two cracking werewolf thrillers, and took his time over the third and final installment! That extra time paid off, and I found it to be the best of the three. By this point in the story we're already familiar with the characters and a lot has happened leading up to this moment. The stakes are high, for sure, and my absolute attention was captured from the opening sentence. This was a riveting experience, and strongly recommended for anyone who's read the first two. Those who haven't should go buy the audio versions and catch up. Now. 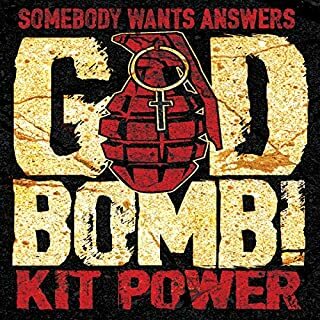 What made the experience of listening to GodBomb! the most enjoyable? Switching from one character to another in an otherwise tense situation can often be a distraction but it worked very well here. And what made it work especially well was the way it was narrated. A standard hostage-situation setup took many turns and kept me guessing throughout. What does Chris Barnes bring to the story that you wouldn’t experience if you just read the book? Kit Power's prose and Chris Barnes' voice were a match made in heaven (so to speak). 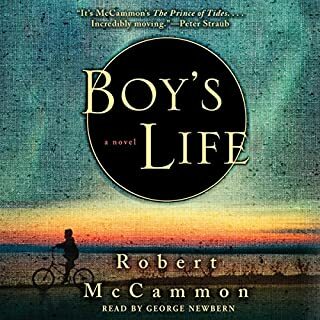 Barnes has the ability to narrate with a palpable sense of urgency, and this paired especially well with the vivid descriptions and the present-tense narrative. There were several. Without revealing possible spoilers, there was at least one scene in which we are privy to the most private, intimate moment of a person's live: their death. The present-tense POV allowed the reader to hold their hand through the process. A story about a boy, with mystery and magic realism. A story about a boy, with mystery and magic realism. It doesn't get much better than this. Stunning, beautiful, and truly scary. There are very few things more terrifying than the knowledge that seeing something can drive you insane. Malorie looks back on how it all started as she and her two young children take a blindfolded journey in search of salvation. This was riveting from page one right through to the end. In this follow-up novella, Cecil and Bubba spend what they think will be an uneventful Halloween night at McGee's Gas, Garage, and 24 Hour Convenience center, until they are joined by a new and unlikely ally. Soon after that, a pair of FBI agents brings a van in for emergency service work. The agents are hauling a weird cargo and Rosalita's curse soon causes an ancient evil to rise and walk the earth once more. I love these guys. And Gene Blake nails the tone. If you could sum up Cecil & Bubba Meet the Thang in three words, what would they be? Cecil. Of the two, he seems like he's marginally more responsible than his brother. He knows he's a lazy redneck and he owns it. This time, though, he steps up to the plate and does what needs to be done. Have you listened to any of Gene Blake’s other performances before? How does this one compare? Yes, and just as I'd expected. Blake narrated West’s earlier collection of short stories, What Price Gory, and he did a fine job. With Cecil and Bubba, his choice of vocal style brings a special kind of humour that really brings out the absurdity of their situation. It works perfectly. Standing between and ancient evil and world destruction are Cecil and Bubba. What? If you could sum up The Housemates in three words, what would they be? 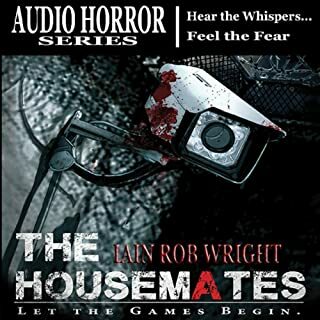 If you’ve listened to books by Iain Rob Wright before, how does this one compare? I have not. But I will probably seek out more of his work in the future. Which character – as performed by Chris Barnes – was your favorite? Damien, the protagonist. He was tough, but always fair and honourable. Chris managed to convey that perfectly. Yes. The narrator brought the characters to life in a definitive way. Some of the housemates had similar attitudes and styles, and it would have been easy to confuse them. This is where the narrator came in, and he nailed it. 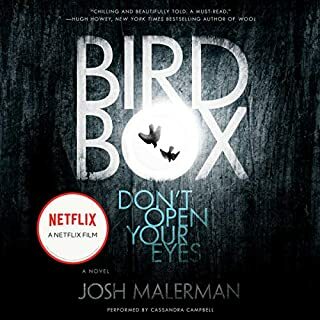 I found the story perfectly enjoyable--interesting and engaging, if a little generic. But I was expecting something more. This is a Big Brother house setting, with elements of Saw, My Little Eye, and Cube, and it works very well.